MILLBURN, NJ - the Millburn Varsity Boys' tennis team is hosting an instructional spring break clinic for anyone ages 8-14. Clinics will be organized based on both age and ability. Limited sessions with Coach Wasserman will be availible throughout the day for ages 11-14. 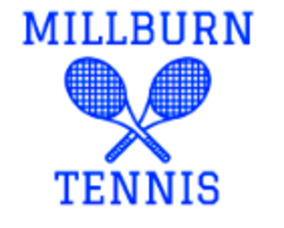 To register and ask questions, email millburnvarsitytennis@millburn.org with name, age, contact phone number, ability level of student, and choice of clinic. $40 for 2-hour clinic with team members (10am-12pm or 1pm-3pm. $40 for 1-hour hitting session with team member. $75 for 1-hour private lesson or hitting session with Coach Wasserman. $40 for half hour private lesson or hitting session with Coach Wasserman. $90 for full day clinic and lunch with the team.